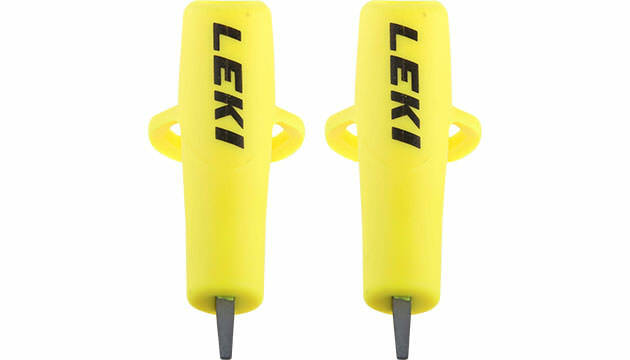 The Leki Speed tips come in an exciting neon yellow color and are made for the ambitious cross skater. The Leki Tips are installed with hot melt glue. We will include a piece of hot melt glue for you convenience. for poles with inner diameter of pole = 9,0mm. Can be installed on poles with smaller inner diameter (such as 8mm - 8.5mm) by increasing the amount of hot glue.